What is the quickest way to making a fortune online? I don’t know and I don’t know anyone that does either. Yet, when you read sales pages online or the adverts that arrive as junk mail on a weekly basis it is easy to convince yourself that it IS easy after all isn’t that what the experts tell you? Not convinced? Then you really need to read this report. Believe me there is no overnight way to making it big online overnight, what is needed is to learn and apply a new skill set. Add to that a determination to succeed and you have exactly what you need to be a success. The good news is that it is entirety possible to learn and apply these skills quickly it is much easier to do than anyone would imagine. So how can you learn these skills? Well if you follow all the sales letters you can grab a whole bunch of products from Clickbank and probably spend several hundreds of Dollars. You can choose an expensive coaching program that drip feeds you the information you need on a weekly basis. Usually $1,000’s of Dollars, not really a cheap option. So what about a Coaching Program that not only gives you massive amounts of content each and every month but also allows you to build the business you want in the way that you want to build it. One size does not fit all! Everyone is different and everyone will want to build their own business their own way, whether that is trading on Amazon, eBay, Producing your own products (not as scary as it sounds). Maybe you want to specialise in selling Resell Rights Products, or publish on Kindle which has opened up an entire market for the small publisher (that’s you and me!). You will find it in Internet Coaching Monthly. 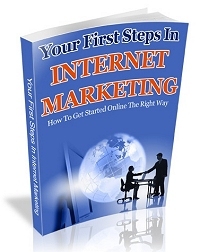 And what is the cost of Internet Coaching Monthly, Simple it is $17 a month no ridiculous “discounts” fro $4997 to…. (you know the sequence already). No false Scarcity, No Ridiculous claims on the value of bonus items. No hype, No Fluff just good teaching and good solid business advice. Great product, Rob and I totally agree about the ‘drip feed’ products that cost lots and you don’t know whether it’s good value til you’re so far into the course that you can’t pull out anymore. Clearly I know you and Steve and I know the support offerd is worth heaps more than the monthly subs too. Hi Mandy, thanks for dropping by just to let you know that I have completed most of your course on blogging for month 3. $17 is reasonable Rob. I had read the product description, I sounds like I could save a lot of time doing trial and error. Getting things right the first time is what I am planning to do. This souds bad but I think I have noticed some people would rather have something to moan about than be successful….. Succeeding online is hard but failing is a bit easy. H Rob! You are right about many people are failed to have success online, online business is no that too easy as everybody thinks it really needs consistency and determination to go through either it will have good or bad results. Hey Robert Corrigan I am agree with Mandy and you really this is Great product, Rob and I totally agree about the drip feed products. Hi Larry, thanks for the comment, hoping to do much better this year.